Thinking about sitting the FACTM pt 1 paper this November? NB new date. It’s very easy to remember: 11-11-11 (11th November, 2011). 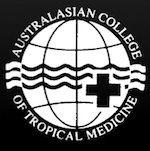 Then it’s time to get your application in to the Australasian College of Tropical Medicine. You need to be at least an Associate Member of the College in order to sit the exam. The two written papers that comprise the pt 1 exam will be held on the second Friday of November (11th Nov.), subject to demand. Where possible, we will arrange for exams to be held either in your centre, or close by depending on the availability of College Fellows to invigilate. The two papers contain multiple choice, extended matching, data interpretation and short notes questions. Two examination streams are available, depending on whether you have a medical qualification recognised in Australia or New Zealand. Medical practitioners registered to practise in either country may sit the FACTM (Clinical) exam. They must complete the Clinical Tropical Medicine component, and choose three of the remaining four topics: Travel & Expedition Medicine, Tropical Public Health, Clinical Parasitology and Medical Entomology. All other health professionals with a first degree in their respective form of health care should sit the FACTM (Paraclinical) exam. They must attempt all four topics other than Clinical Tropical Medicine (Travel & Expedition Medicine, Tropical Public Health, Clinical Parasitology and Medical Entomology), and should nominate one of these as their preferred topic. FACTM (Clinical) candidates are deemed to have nominated Clinical Tropical Medicine as their preferred topic. The pass mark is 50% for all topics apart from the preferred topic, for which the pass mark is 60%. Distinctions are offered for a higher level of exam performance. The standard expected is equivalent to the Diploma in Tropical Medicine & Hygiene, and the syllabus is defined by the recommended core texts. A FACTM pt 1 pass allows you to proceed to the pt 2 or final exam which is based on project and mentored work in an area where your current clinical responsibilities overlap with tropical or travel medicine, in its broader sense. Further reading, sample questions and answers to frequently asked questions regarding the examination can be found on this website or from the College. A more detailed FACTM exam briefing can be found on this site. Thanks for the enquiry. Contact the ACTM Secretariat for details of enrolment. Their address can be found on the ACTM website, linked via the MicroGnome site. Hi. We have a faculty member who claims to be FACTM. How do i verify if this is true? Thank you. Best to contact the ACTM secretariat. Details are on the College website. This blog is for general discussion, education, entertainment and amusement. Educational material contained in this blog does not constitute medical advice.